It (2017) Review | Nerd Much? When it comes to horror there may be no more recognizable name in the industry than Stephen King. Considered by many to be one of the best horror authors of all time, King has woven truly terrifying tales over his long career. This, of course, has made adapting his work both highly desirable and often very challenging given how much he tends to cram into his novels. It is perhaps the best example of this as it’s not only 1,000 pages, but is divided up into two distinct sections. Creating a film in this format is especially tricky, which is why director Andy Muschietti wisely opts to only focus on the children section of the story. Set in the town of Derry, Maine, It revolves around a group of seven different friends who are all terrorized by a monstrous clown known as Pennywise (Bill Skarsgård). After several children go missing, including our main character Bill’s (Jaeden Lieberher) younger brother, the kids realize that something more sinister is at play. Out to save their town, they attempt to discover exactly what is causing all the disappearances and how to stop it. It has way more to its story, but half the fun of It is letting its twists, turns, and scares unravel before you. There is a brilliant pace to Muschietti’s script that blends comedy, romance, drama, and horror themes seamlessly. While It could have easily devolved into forming an identity crisis, Muscheitti ends up striking a near perfect balance. Despite having some slower, more emotional focused moments the script never waivers. 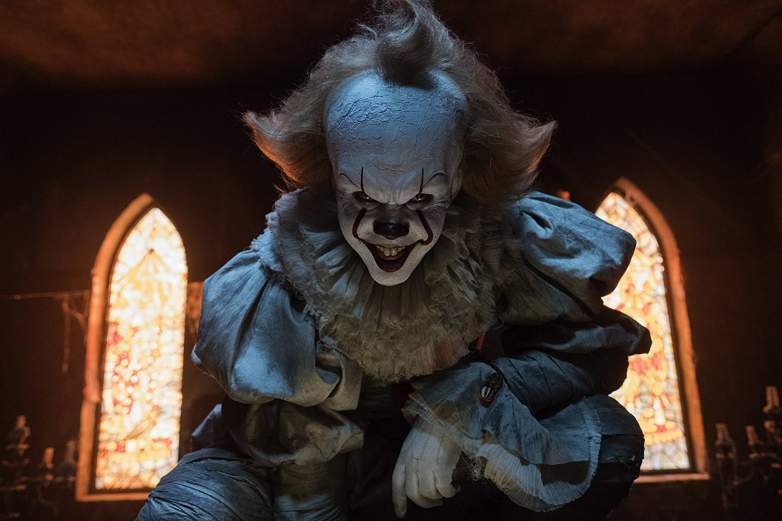 Instead of just using these scenes to give the audience some breathing room from the scares, Muschietti makes sure they are used to develop the seven principal cast members. While the main character is clearly Bill, the other six children all have their time to shine and make an impact on the audience. They are instantly distinguishable amongst one another thanks to defining traits such as one being a fast talker or another being a germaphobe. Yet, It transcends what could have been cheap, one note characters by using these tropes to explore their fears. This allows us to not only connect to them more but understand what drives each one leading up to the third act. Much of this is thanks to the wonderful chemistry that the cast possesses, with Lieberher’s Bill, Sophia Lillis’ Beverly, and Finn Wolfhard’s Ritchie stands out. That’s not to say the rest of the cast is bad, just it’s clear who had the bigger focus in terms of emotional development. Bill trying to grapple with the understanding that his brother is gone is particularly compelling, as he never loses hope that his brother is truly dead. This is largely thanks to Lieberher’s superb acting that lends serious weight and impact to many of the scares and truly dramatic sections. However, because of how many leading cast members there are some do get slightly lost in terms of exploration. Most notably the home schooled kid Mike Hanlon (Chosen Jacobs) who feels rushed in most of his scenes. There’s clearly more to his character, yet it just gets lost in the main story. While many others get big moments of facing their fears and triumphing over Pennywise, Mike just feels like a footnote. It’s a shame too because Jacobs does a great job with the material he is given, just there isn’t enough meat on the bones for his character. Of course the one thing everyone will be talking about it Skarsgård’s depiction of Pennywise. Skarsgård disappears into the character and what emerges is perhaps one of the most terrifying villains of the decade. Pennywise is a truly sinister villain that is both truly unsettling and oddly fascinating at the same time. This is largely thanks to the fantastic physical ticks and voice inflections that Skarsgård implements to push this monster beyond just being a cliche antagonist. Normally, the lack of knowing exactly what Pennywise is would become frustrating, but by framing the story through the perspective of the children it avoids this pitfall. Everything is told and depicted through their eyes, so it makes sense why they would discover what this monster is. This leaks into every aspect of the script from romance to dealing with bullies and even seeing adults as useless in such a situation. It all clicks and creates a good sense of vulnerability which developers the palpable tension in all of the scarier scenes. It is a triumph and a near masterpiece when it comes to the horror genre. 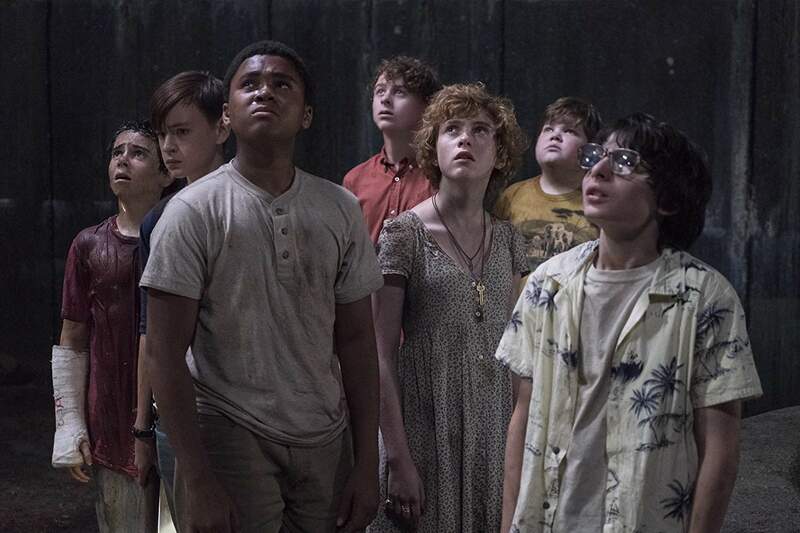 Instead of trying to jam every detail of the book into the script, Muschietti’s choice to only tell this movie as the kids vs a monster succeeds spectacularly. Combining this with the great lead chemistry and haunting performance by Skarsgård, It is perhaps one of the best Steven King movies ever made. While It may traumatize you with a fear of clowns, this film is completely worth the nightmarish journey. + Did We Mention Pennywise Is Terrifying?